Call 423-218-3070 to schedule your first appointment. If you need hearing aids in Kingsport, TN, look no further than Miracle-Ear®. We're America’s most recognized brand of hearing aids, and our goal is to help you experience the world to its fullest. From adjustments to repairs, our center proudly provides an array of services designed to give you the comprehensive care you deserve. All of our hearing solutions, including ones with our GENIUS™ Technology, use the latest innovations to deliver a user-friendly hearing aid to each customer. Whether you want your hearing aid to remain hidden inside your ear or need it to be waterproof, our hearing aid center offers a range of hearing aids to support your particular lifestyle. We provide our customers with top-notch hearing solutions and continuous care to keep their hearing aids in tip-top shape. With over 1300 locations across the country, our service is backed by a nationally known brand. If you do require a hearing aid, our experienced Hearing Care Specialists will help you find the best match for your needs. Rest assured that we’ll program your new hearing aids so that they are personalized just for you. Whether or not you’ve worn hearing aids before, the Hearing Care Specialists at Miracle-Ear are here to answer any questions you may have about our hearing solutions. We'll take all factors into account when selecting a hearing aid for you, including your hearing ability and personal preferences. From offering you a risk-free, 60-day trial** to test out your new hearing aids to providing you with a limited warranty†, we'll go out of our way to make sure you’re happy with your new hearing aids. Call our center in Kingsport today to schedule your hearing test. Sherrie Greenwell is a resident of Johnson City. She and her husband have two daughters who keep her busy when she is not helping people with hearing issues. 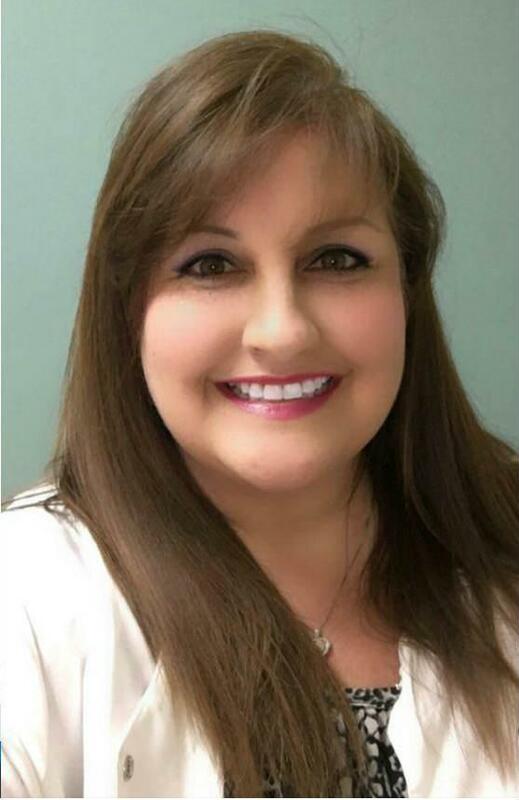 As a licensed Hearing Instrument Specialist her training and expertise focuses on hearing loss, hearing instrument fittings, and counseling on these subjects. Sherrie prides herself in helping people with their unique hearing needs, which in turn can help them communicate with their loved ones and improve their quality of life. Sherrie is very passionate about what she does as she has family members that has experienced hearing loss and knows how it affects people and those around them. For several years I have gradually lost the ability to understand what people were saying. I could hear them talking, but could not hear clearly. My family was constantly telling me that I needed to see a hearing aid specialist and get me something to help me understand them. I am also involved in my town government as mayor and began having trouble hearing the discussions at our meetings. I was constantly telling people, “I didn’t get what your said.” That became very embarrassing for me.Finally, I took good advice and went to see my local Miracle Ear specialist. That was one of the best moves I have ever made. I have had my hearing aids now for over a month and have discovered what a difference they make in my hearing and understanding the conversations going on with and around me.Thank you Miracle Ear and my Hearing Instrument Specialist, Sherrie Greenwell, for working with me so that my hearing and understanding of words spoken has been greatly improved. I feel like a new woman!